The Foldsack No. 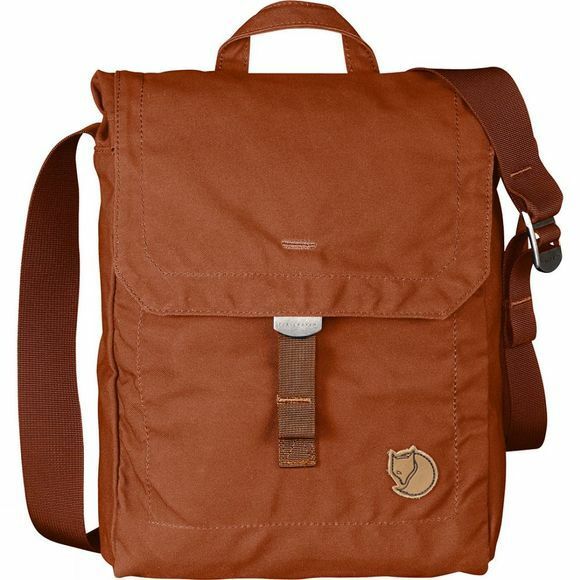 3 from Fjällräven is a stylish shoulder bag that is great for traveling as well as day to day life. With enough space to house your essentials it has a fold over flap with a metal buckle for secure closure and a small zipped pocket on the front of the bag is great for things you might need to get at quickly such as your phone or even travel documents if you are heading for further destinations.